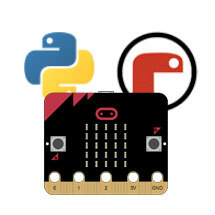 The cyber:bot robot adds a tangible hardware dimension to Python-focused computer science and CTE programs. 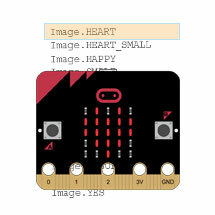 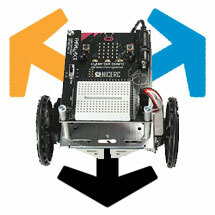 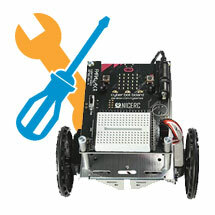 The cyber:bot robot merges a micro:bit module with the Parallax small robot form factor that's a proven STEM success in classrooms from middle school into college. 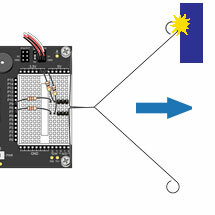 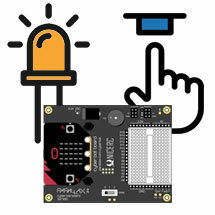 An onboard Propeller multicore microcontroller serves as a co-processor to the micro:bit, handling servo motor control and interaction with breadboard-built circuits for robust projects that go beyond what the micro:bit can do on its own. 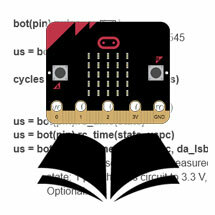 See the cyber:bot product family in the Parallax store.